So I have been absent for quite a while now, but I promise that it has been for a good reason. Been busy with work, Amiga development (both hardware and coding) and all other things you not sitting at a computer. 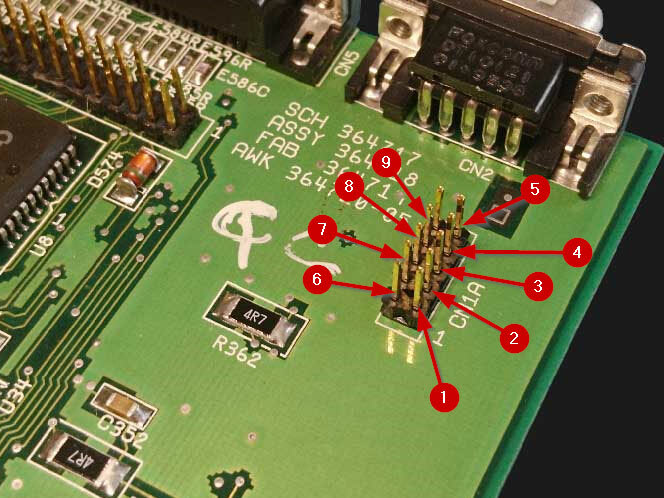 Or if you prefer a picture for reference, please note that the numer in the red circle is the pin on the D-Sub 9 cable.